As Lutheran Christians at Mount Olive we believe what the Holy Scriptures teach. 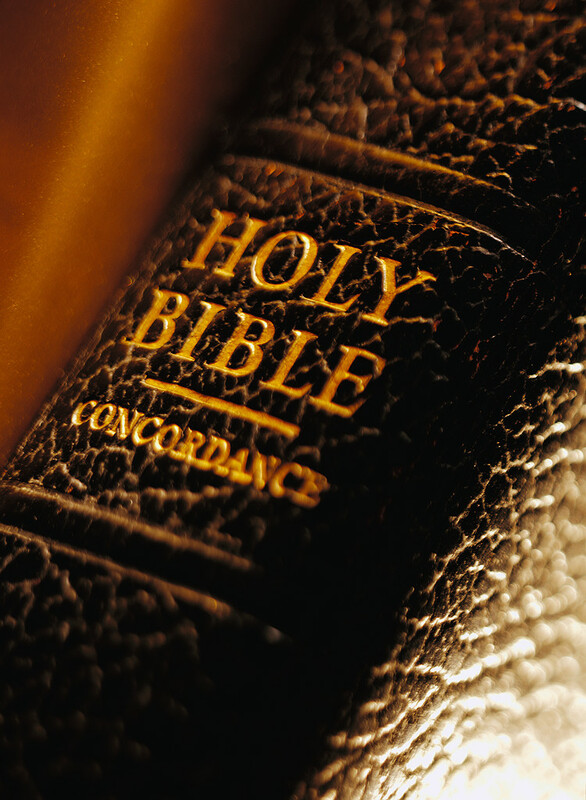 We believe and teach that the Holy Bible, both the Old and New Testament (in all its words) is the inspired Word of God and therefore true and trustworthy, even the difficult and challenging parts; that it is the only source for the proclamation of the Gospel through which the Holy Spirit creates our faith in Jesus Christ; and that it is so clear in its denunciation of sin and in its offer of salvation that any believer in Christ may read it and understand it. We desire to conform our lives to the Word of God as found in the Bible and its teachings; we work hard to avoid falling into the temptation to conform the words of the Bible to the currently popular trends of daily life in a fallen world. References: 2 Peter 1: 21; 2 Timothy 3: 15-17; 1 Corinthians 2: 13; Galatians 1: 7-9; John 20: 31; 2 Peter 1: 19; Psalm 119: 105, 130. English Standard Version (ESV) - Bible translation used in the Services at Mount Olive. 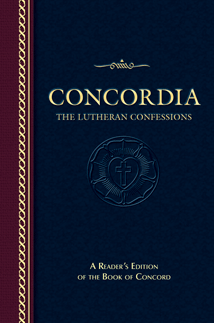 The Book of Concord –a summary of the beliefs of Lutheran Christianity. 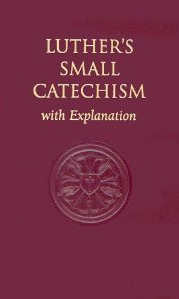 Luther’s Small Catechism –Martin Luther’s teaching guide for the Christian faith. * We believe that God loves humanity and wants us to enjoy an abundant, fulfilling life. * We believe that a wall of separation has grown between us and God. This wall is called sin. Sin denies us the kind of life God wants for us. * We believe that this wall has been torn down by the sacrificial death on the cross of God's son, Jesus the Messiah. * We believe that Jesus' resurrection from the dead is God's seal of approval on His Son's work. * We believe that the benefits of Christ's death on the cross and resurrection from the dead are available to all who will simply trust and obey him - by faith. * We believe that Christ will someday return to this earth to begin a new age. As part of Lutheran Church-Canada we confess the Apostles', Nicene & Athanasian Creed. Usually twice a year, in the spring and in the fall, Mount Olive Lutheran Church offers a class in Basic Christianity. This Pastor's Class, made up of 8 lessons, covers the basics of the Christian faith.Through lessons, PowerPoint presentations, discussions, DVD presentations and the like, students receive a comprehensive summary of the distinctives of Christianity. This class is a pre-requisite to full adult membership in our congregation. In addition to those who are new to the faith, some individuals take this class as a review. Similar material is presented to our young people and their parents in our "Family Confirmation Classes." If you are interested in either of these classes or have questions, please contact Pastor Giese or Pastor Albrecht at 543-9744. The Lord's Supper is celebrated in our congregation in the confession and glad confidence that, as He says, our Lord Jesus Christ gives into our mouths not only bread and wine, but also His body and blood to eat and to drink for the forgiveness of sins and to strengthen our union with Him and with one another. Our Lord invites to His table those who trust in His words, repent of all sin, and set aside any refusal to forgive and love as He forgives and loves us, that they may proclaim the Lord's death until His Second Coming. The Bible teaches that those who unworthily (that is, in a manner other than explained above) eat and drink our Lord's body and blood in the bread and wine do so to their great harm. 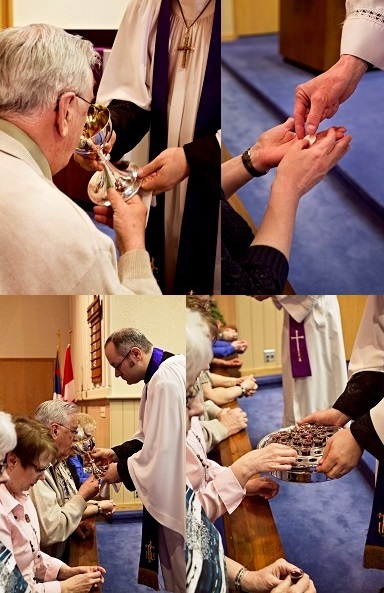 Also, because we care deeply about all people and because Holy Communion is a confession of the faith which is confessed at this altar and preached from our pulpit, our congregation has the responsibility to ensure that all who commune together understand what God's Word teaches about the Lord's Supper. 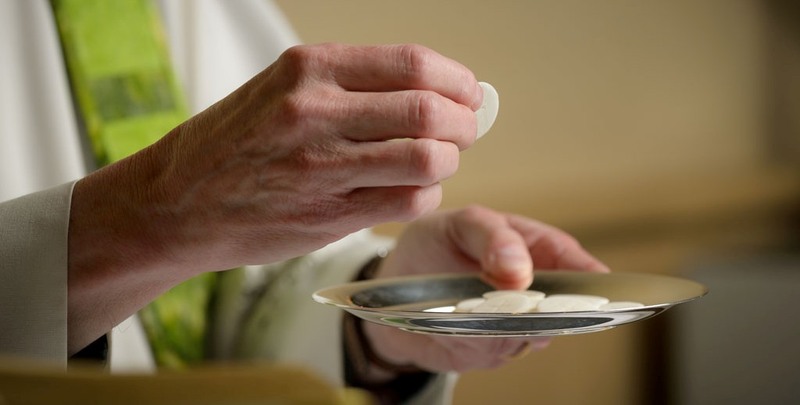 Any who are not yet instructed, in doubt, or who hold to a confession and teaching other than that of this congregation and Lutheran Church-Canada, and yet desire to receive the Sacrament, are asked first to speak with one of our pastors. For further study, please see Matthew 5:23-24 ff. ; 10:32 ff. ; 18:15-35; 26:26-29; and 1 Corinthians 11:17-34. Approved by Mount Olive's Pastors and Elders. You are welcome to join us for worship in one of our two weeklySunday Services or at our Wednesday evening prayer service on the first Wednesday of the month.